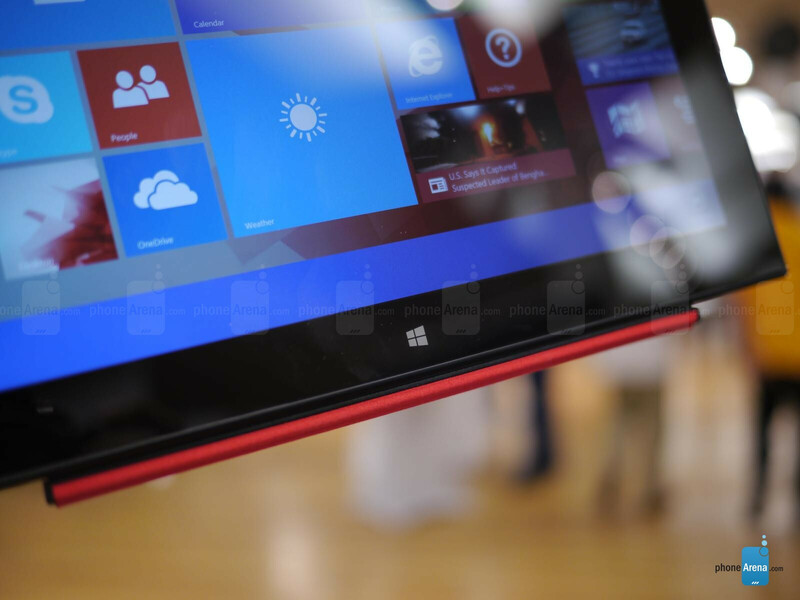 Lenovo has shown us on several occasions that they mean business when it comes to Windows 8.1 devices. From various convertible styled laptops in its Yoga line, to its renowned ThinkPad family, there’s no shortage of cool and aggressively priced products in its portfolio. 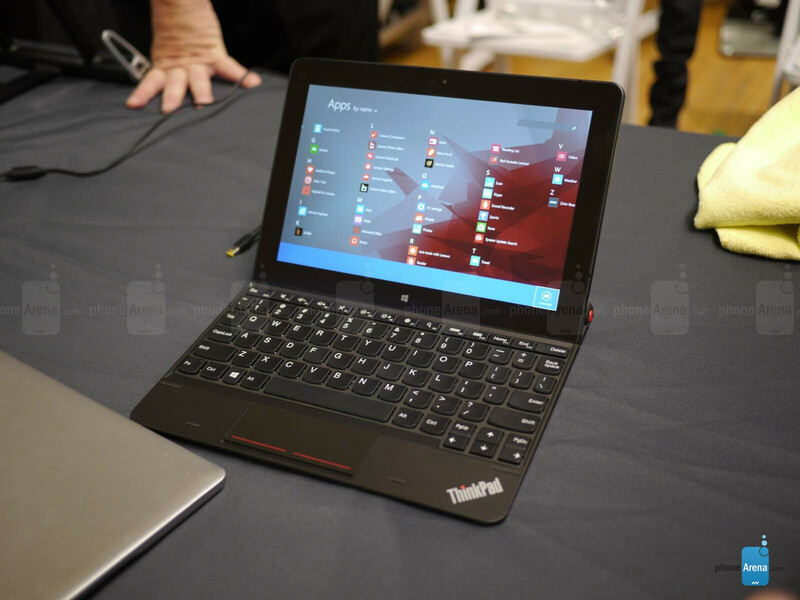 During Pepcom’s most recent Digital Experience event held in New York City, we managed to get a quick look at the Lenovo ThinkPad 10 – a 10-inch, full-blown Windows 8.1 running tablet that’s looking to catch people by surprise with its $600 starting cost. So, what’s there to say about the design? 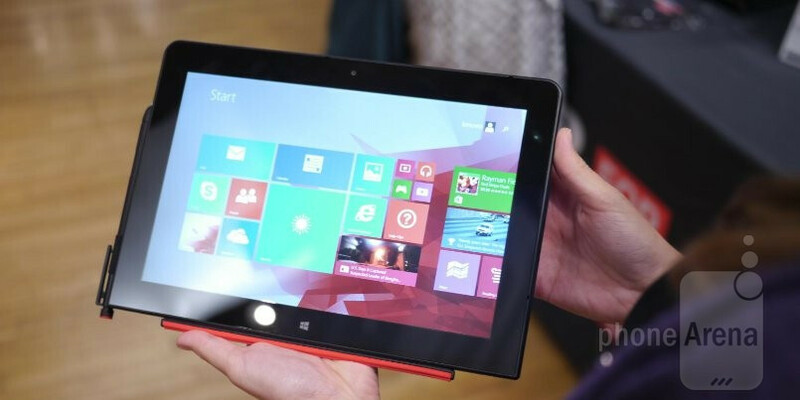 Nothing really, seeing that it takes its cues from the beloved ThinkPad line. Even though it’s a tablet, we can take notice of the enterprise-centric design of the ThinkPad 10, as it features a streamlined, lightweight body that’s covered in a matte finish. Generally speaking, it’s a tried and true design we’ve seen recycled on several of Lenovo’s tablets, so we’re not as shocked by the revelation here. Sporting a 10.1-inch 1920 x 1200 IPS display, it’s something quite pleasing to find knowing that we’re dealing with an Atom-based tablet here. With its better than full-HD resolution, which produces a pixel density count of 224 ppi, our eyes are able to soak in its detail and richness. Beyond that, we can’t find anything too out of the ordinary with the display, as it features all of the pleasant elements we want in a panel – like a neutral color reproduction and decent viewing angles. 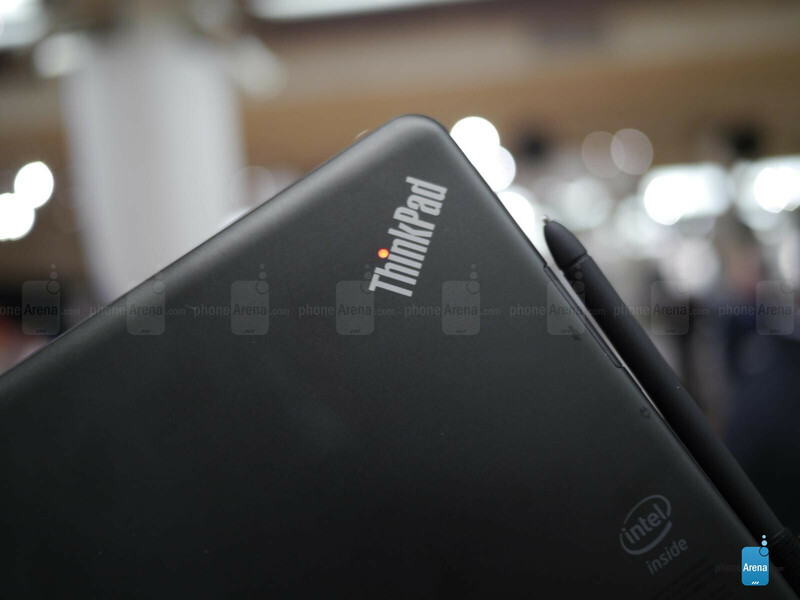 Sure to please a wide group of users, the Lenovo ThinkPad 10 is running Windows 8.1, the full-blown PC operating system of course. Not only does it have access to the full array of tablet-optimized apps that are in the Windows Store, but it’s capable of running old school legacy software. Bearing the ThinkPad name, the tablet targets business and enterprise users, but it’s still a fun tablet of sorts that’s great for multimedia consumption. One of the areas that we feel to be underwhelming, the tablet’s quad-core 1.6GHz Intel Atom Z3795 processor with 2GB of RAM doesn’t scream powerful. Rather, it’s going to handle most basic processes, like surfing the web and the occasional productivity software, but don’t think for a moment it’s a gaming or processor intensive thing. In our time just checking it out, it produces a reasonable performance with minimal falter. Nevertheless, we’ll need to strain it with some other things to really gauge its worth. Stuffed with a 64GB hard drive, it’s hardly something that we’d be inclined to say as being sufficient for full-blow Windows 8.1. Despite that, we’re comforted to find a microSD card slot on its side ready to supplement its capacity. For a tablet, its 8-megapixel rear camera with LED flash seems like a decent tally, which is tucked along the top left corner in the rear. Luckily, the camera lens is flush to the surface – so there’s no odd protrusion. The placement, naturally, is in an ideal location because it’s away from the sides of the tablet where we normally grasp it. Finally, there’s also a front-facing camera you can use for those video chatting sessions. The more we look at the Lenovo ThinkPad 10’s $600 cost, the more we feel that it’s just a smidgen pricey considering it’s packing an Atom processor – as opposed to something like Intel’s 4th generation Core processors. 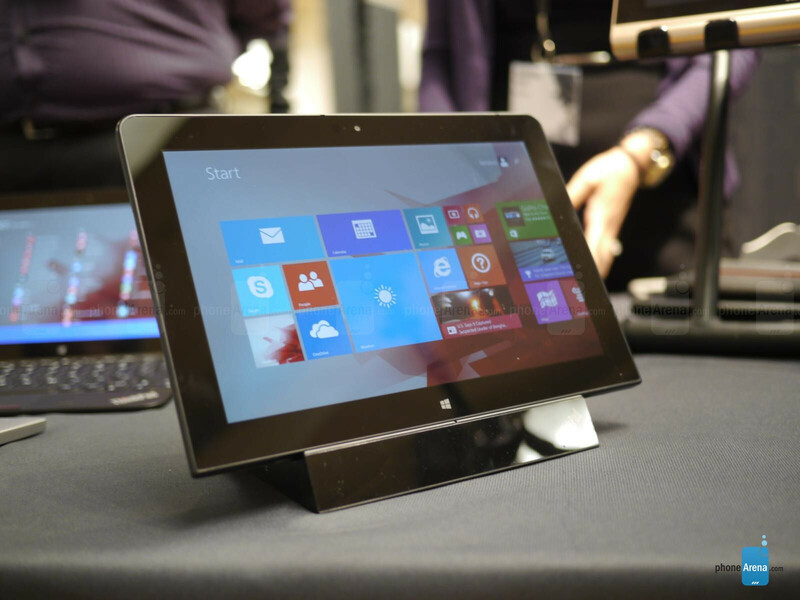 Being an Atom-based tablet, we would’ve preferred to see its pricing be dipped below the $500 mark. In contrast, though, we’ll need to test out its performance power to see whether the price point is justified. For those of you folks thinking about picking this one up, Lenovo has an arsenal of accessories to complement the tablet – like a cover that comes included with a digitizer pen, charging dock, and a keyboard dock. Yay 16:10 and a digitizer! Nice, it's tablets like these that have me converting un-happy tablet business users to full blown windows for off site productivity. The lynx was great and like 250$ with one year warranty from lenovo, and this should be great as well.